Retinopathy Of Prematurity (ROP) is a proliferative vasculopathy that usually develops in infants with low birth weight and low gestational age because of vascular dysfunction of the retina. Numerous factors have been proposed as aetiology of this disease, which causes structural impairment in immature retinal vessels and may result in blindness. The most significant factors are oxidative stress caused by oxygen (O2)and O2 metabolites [1Shah PK, Prabhu V, Karandikar SS, Ranjan R, Narendran V, Kalpana N. Retinopathy of prematurity: Past, present and future. World J Clin Pediatr 2016; 5(1): 35-46. [https://www.ncbi.nlm.nih.gov/pmc/articles/ PMC4737691]. [http://dx.doi.org/10.5409/wjcp.v5.i1.35] [PMID: 26862500] , 2Hara K, Yamashita S, Fujisawa A, Ishiwa S, Ogawa T, Yamamoto Y. Oxidative stress in newborn infants with and without asphyxia as measured by plasma antioxidants and free fatty acids. Biochem Biophys Res Commun 1999; 257(1): 244-8. [https://www.ncbi. nlm.nih.gov/pmc/articles/PMC6160725]. [http://dx.doi.org/10.1006/bbrc.1999.0436] [PMID: 10092541] ] and associated inflammation [3Rivera JC, Dabouz R, Noueihed B, Omri S, Tahiri H, Chemtob S. Ischemic retinopathies: Oxidative stress and inflammation. Oxid Med Cell Longev 2017; 2017: 3940241. [http://dx.doi.org/10.1155/2017/3940241] [PMID: 29410732] ]. Studies demonstrating that Hb and Hb products, as well as haemogram parameters, are responsible for O2 transport can be effective on ROP in infants, as they support the role of oxidative stress in ROP development [4Akdogan M, Demirag DA, Varal IG, Cevik SG, Ustundag Y. Haemogram parameters in the development of retinopathy of prematurity. Open J Ophthalmol 2018; 8: 75-83. [http://dx.doi.org/10.4236/ojoph.2018.82011] ]. Even full-term newborns may be exposed to oxidative stress as a result of exposure to high O2 content in the natural environment compared with that in the mother’s womb. Oxidative stress represents the imbalance between the production of Reactive Oxygen Species (ROS) and protective antioxidants [5Blokhina O, Virolainen E, Fagerstedt KV. Antioxidants, oxidative damage and oxygen deprivation stress: A review. Ann Bot 2003; 91(Spec No): 179-94. [http://dx.doi.org/10.1093/aob/mcf118] [PMID: 12509339] ]. Oxidative stress and oxidative damage due to insufficient antioxidative response mechanisms in preterm infants are much higher than those in normal infants. In addition, because oxygen in the retina is supplied from the choroid, hyperoxygenation is observed in the inner and outer retina due to the lack of autoregulation between the choroid and the retina as well as inadequate antioxidant defence mechanism, particularly in premature infants. Hyperoxygenation causes oxidative stress in the retina, which plays an important role in ROP development [6Sato S, Tsukahara H, Ohshima Y, et al. Changes of plasma coenzyme Q10 levels in early infancy. Redox Rep 2004; 9(5): 289-90. [http://dx.doi.org/10.1179/135100004225006768] [PMID: 15606982] -8Manke A, Wang L, Rojanasakul Y. Mechanisms of nanoparticle-induced oxidative stress and toxicity. BioMed Res Int 2013; 2013: 942916. [http://dx.doi.org/10.1155/2013/942916] [PMID: 24027766] ]. Expression of Vascular Endothelial Growth Factor (VEGF), which causes neovascularisation in the retina, is regulated by signals associated with hypoxia [9Hartnett ME. Pathophysiology and mechanisms of severe retinopathy of prematurity. 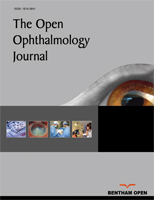 Ophthalmology 2015; 122(1): 200-10.https://www. ncbi.nlm.nih.gov/pubmed/25444347[http://dx.doi.org/10.1016/j.ophtha.2014.07.050] [PMID: 25444347] ]. Oxidative stress also plays a role in pathological processes, including the regulation of VEGF expression in the retina [10Al-Shabrawey M, Bartoli M, El-Remessy AB, et al. Inhibition of NAD(P)H oxidase activity blocks vascular endothelial growth factor overexpression and neovascularization during ischemic retinopathy. Am J Pathol 2005; 167(2): 599-607. [http://dx.doi.org/10.1016/S0002-9440(10)63001-5] [PMID: 160493 43] ]. Neonatal Intermittent Hypoxia (IH) is a recurrent, short-term (<3 min) decrease in oxygen saturation [11Beharry KD, Cai CL, Henry MM, Chowdhury S, Valencia GB, Aranda JV. Co-Enzyme Q10 and n-3 polyunsaturated fatty acid supplementation reverse intermittent hypoxi-induced growth restriction and improved antioxidant profiles in neonatal rats. Antioxidants 2017; 6(4): 103. [http://dx.doi.org/10.3390/antiox6040103] [PMID: 29258174] ]. IH episodes are typically a consequence of an immature respiratory control system, and may result in the disruption of the antioxidant system, particularly in premature infants, leading to increased retinal neovascularisation. IH-induced mitochondrial ROS are toxic, causing lipid peroxidation and damaging cell membranes [11Beharry KD, Cai CL, Henry MM, Chowdhury S, Valencia GB, Aranda JV. Co-Enzyme Q10 and n-3 polyunsaturated fatty acid supplementation reverse intermittent hypoxi-induced growth restriction and improved antioxidant profiles in neonatal rats. Antioxidants 2017; 6(4): 103. [http://dx.doi.org/10.3390/antiox6040103] [PMID: 29258174] ]. Coenzyme Q10 (CoQ10) is a potent antioxidant that plays a vital role in energy creation, electron transport and the mitochondrial electron transport chain. CoQ10 dissolves in fat and is often found in high-energy consuming tissues, such as the brain, eyes, liver and kidneys. The antioxidant is a naturally-occurring compound, primarily playing a bioenergenetic role in the cell [12Zmitek J, Smidovnik A, Fir M, et al. Relative bioavailability of two forms of a novel water-soluble coenzyme Q10. Ann Nutr Metab 2008; 52(4): 281-7. [http://dx.doi.org/10.1159/000129661] [PMID: 18645245] ]. CoQ10 has been suggested to inhibit the developmental deficits caused by IH-induced oxidative stress [11Beharry KD, Cai CL, Henry MM, Chowdhury S, Valencia GB, Aranda JV. Co-Enzyme Q10 and n-3 polyunsaturated fatty acid supplementation reverse intermittent hypoxi-induced growth restriction and improved antioxidant profiles in neonatal rats. Antioxidants 2017; 6(4): 103. [http://dx.doi.org/10.3390/antiox6040103] [PMID: 29258174] ]. Thiols are functional sulfhydryl groups that are contained within proteins and other molecules, such as glutathione and homocysteine. Thiol groups are converted to disulphide bonds under oxidative conditions, such as IH and the resulting bonds are degraded to thiols to create thiol-disulphide homeostasis. Thiol-disulphide homeostasis plays an important role in the maintenance of many physiological processes necessary for organisms, such as antioxidant defence and protein chemical structure stabilisation. A method developed in recent years makes it possible to measure thiol-disulphide homeostasis in the blood [13Bar-Or D, Lau E, Winkler JV. A novel assay for cobalt-albumin binding and its potential as a marker for myocardial ischemia-a preliminary report. J Emerg Med 2000; 19(4): 311-5. [http://dx.doi.org/10.1016/S0736-4679(00)00255-9] [PMID: 110743 21] , 14Erel O. A novel automated direct measurement method for total antioxidant capacity using a new generation, more stable ABTS radical cation. Clin Biochem 2004; 37(4): 277-85. [http://dx.doi.org/10.1016/j.clinbiochem.2003.11.015] [PMID: 150037 29] ]. Recently. Unal et al. suggested that the shift in the thiol-disulfide equilibrium towards disulphides in the first week can be attributed to the subjection of very low-birth-weighted preterms to oxidative stress [15Unal S, Ulubas Isik D, Bas AY, et al. Evaluation of dynamic thiol-disulfide homeostasis in very low-birth-weighted preterms. J Matern Fetal Neonatal Med 2017; 13: 1-6. [PMID: 29092682] ]. This study was performed to determine whether one drop of topical administration of Coqun®, a potent antioxidant consisting of CoQ10 0.1% (w/v) and vitamin E TPGS (d-alpha-tocopheryl polyethylene glycol 1000 succinate) 0.5% (w/v) dissolved in aqueous saline isotonic solution [16Fato R, Bergamini C, Leoni S, et al. Coenzyme Q10 vitreous levels after administration of coenzyme Q10 eyedrops in patients undergoing vitrectomy. Acta Ophthalmol 2010; 88(4): e150-1. [http://dx.doi.org/10.1111/j.1755-3768.2009.01632.x] [PMID: 197995 94] ], twice a day has any effect on the thiol-disulphide homeostasis in the ROP disease course. Localisation (zone), amount of involvement (clock dial) and vascular examination findings (plus-preplus) were noted based on the severity of retinopathy and retinopathy between avascular areas according to the International ROP Classification criteria (ICROP): Stage 1 if there is a demarcation line, stage 2 if there is elevation or a ‘ridge’, stage 3 if there is extraretinal fibrovascular proliferation, stage 4 if there is extrafoveal/fovea-containing partial retinal detachment and stage 5 if there is total retinal detachment [17International Committee for the classification of Retinopathy of Prematurity: The international classification of Retinopathy of Prematırity revisited. Arch Opthalmology 2005; 123: 991-9. [http://dx.doi.org/10.1001/archopht.123.7.991] ]. These parameters were used to determine the infants’ ROP stages. Aggressive posterior ROP (APROP, type II or rush-type ROP with a more posterior location, rapid progression instead of the conventional stage 1–5 progression and poor prognosis despite early treatment) diagnosis was made in the presence of these findings [18Zhou J, Liu Z, Ying HY, Liu T. Aggressive posterior retinopathy of prematurity in a premature male infant. Case Rep Ophthalmol 2017; 8(2): 396-400. [http://dx.doi.org/10.1159/000478694] [PMID: 28924435] ]. Nutritional characteristics of infants were examined in three groups: those being fed breast milk, those fed a mix of breast milk and infant formula and those fed infant formulae only. Treatment of the infants was based on the Early Treatment for ROP (ETROP) criteria and BEAT ROP study data [19Good WV. Final results of the early treatment for Retinopathy of Prematurity (ETROP) randomized trial. Trans Am Ophthalmol Soc 2004; 102: 233-48. [PMID: 15747762] , 20Kennedy KA, Mintz-Hittner HA. Medical and developmental outcomes of bevacizumab versus laser for retinopathy of prematurity. J AAPOS 2018; 22(1): 61-65.e1. [http://dx.doi.org/10.1016/j.jaapos.2017.10.006] [PMID: 29223789] ]. The dose of intravitreal bevacizumab (IVB) (Altuzan® 100 mg/dl, Roche, Switzerland) was 0.16–0.32 mg (very low–low) for all infants [21Wallace DK, Kraker RT, Freedman SF. Assesment of lower dose of intravitreous bevacizumab for retinopathy of prematurity. JAMA Opthal 2017; 135: 656-65.]. It was administered under local anaesthesia and sterile operating room conditions with 0.5% propargain hydrochloride drop (Alcaine®, Alcon, USA) using a 32-G needle through the limbus’s periphery (0.5–1 mm) under topical anaesthesia. Laser photocoagulation (LPC) was performed in a sterile operating room, under sedation or general anaesthesia, using a laser device (Iridex; Oculight SL, Mountainview, CA, USA) on avascular regions for patients in group 2 and above who required this procedure. Coqun® drops were administered twice a day to ROP infants with or without anti-VEGF treatment with the same regimen. Blood samples were obtained from all infants before and two weeks after Coqun® treatment. Centrifuged blood samples were stored at −80°C until analysis. The albumin level was studied using an Olympus AU 2700 autoanalyser. FRAP was measured using an adapted ELISA method to determine the total antioxidant level [22Ustundag Y, Huysal K, Kahvecioglu S, et al. Establishing reference values and evaluation of an in-house Ferric Reducing Antioxidant Power (FRAP) colorimetric assay in microplates. Eur Respir J 2016; 2: 126-31. [https://www.researchgate.net/.../304352516].]. Serum IMA levels were measured using a colorimetric assay method previously described by Bar-Or et al. [13Bar-Or D, Lau E, Winkler JV. A novel assay for cobalt-albumin binding and its potential as a marker for myocardial ischemia-a preliminary report. J Emerg Med 2000; 19(4): 311-5. [http://dx.doi.org/10.1016/S0736-4679(00)00255-9] [PMID: 110743 21] ]. Thiol-disulphide homeostasis levels were measured using the automated direct measurement method used by Erel et al. [14Erel O. A novel automated direct measurement method for total antioxidant capacity using a new generation, more stable ABTS radical cation. Clin Biochem 2004; 37(4): 277-85. [http://dx.doi.org/10.1016/j.clinbiochem.2003.11.015] [PMID: 150037 29] ]. A decrease in serum FRAP levels indicates that these infants are under severe oxidative stress. The FRAP method, which is an iron (III) ion-reducing antioxidant power method, is suitable for determining hydrophilic and lipophilic antioxidants and measuring the sum of all antioxidants in the environment, excluding thiols [3Rivera JC, Dabouz R, Noueihed B, Omri S, Tahiri H, Chemtob S. Ischemic retinopathies: Oxidative stress and inflammation. Oxid Med Cell Longev 2017; 2017: 3940241. [http://dx.doi.org/10.1155/2017/3940241] [PMID: 29410732] ]. CoQ10s have a high molecular weight and a lipophilic structure that is almost too strong to melt in an aqueous environment. Although there are studies suggesting that CoQ10 has poor bioavailability because it is not water-soluble, there are other studies that show its benefits many organs in the body [11Beharry KD, Cai CL, Henry MM, Chowdhury S, Valencia GB, Aranda JV. Co-Enzyme Q10 and n-3 polyunsaturated fatty acid supplementation reverse intermittent hypoxi-induced growth restriction and improved antioxidant profiles in neonatal rats. Antioxidants 2017; 6(4): 103. [http://dx.doi.org/10.3390/antiox6040103] [PMID: 29258174] ]. Its strong lipophilic structure limits its therapeutic value [23Constantinescu R, McDermott MP, Dicenzo R, et al. A randomized study of the bioavailability of different formulations of coenzyme Q(10) (ubiquinone). J Clin Pharmacol 2007; 47(12): 1580-6. [http://dx.doi.org/10.1177/0091270007307571] [PMID: 17925590] -25Sikorska M, Borowy-Borowski H, Zurakowski B, Walker PR. Derivatised α-tocopherol as a CoQ10 carrier in a novel water-soluble formulation. Biofactors 2003; 18(1-4): 173-83. [http://dx.doi.org/10.1002/biof.5520180220] [PMID: 14695933] ]. Although there is no study investigating FRAP levels in the blood following topical CoQ10 treatment in newborns and preterm infants, one study reported serum CoQ10 levels in newborns and preterm infants [22Ustundag Y, Huysal K, Kahvecioglu S, et al. Establishing reference values and evaluation of an in-house Ferric Reducing Antioxidant Power (FRAP) colorimetric assay in microplates. Eur Respir J 2016; 2: 126-31. [https://www.researchgate.net/.../304352516].]. In this study, CoQ10 initially showed a very low level but increased in vivo in the serum with the presence of vitamin E, which is a potent antioxidant. In newborns exposed to oxidative stress without any external treatment, this increase was caused only by the nutrition and CoQ10 levels produced by the body itself. This increase occurred much slower in preterm infants with a disease, which was attributed to the delay in enteric feeding (i.e., a delay in intestinal maturation) [6Sato S, Tsukahara H, Ohshima Y, et al. Changes of plasma coenzyme Q10 levels in early infancy. Redox Rep 2004; 9(5): 289-90. [http://dx.doi.org/10.1179/135100004225006768] [PMID: 15606982] ]. CoQ10 inhibits haemolysis of erythrocytes by hydrogen peroxide in preterm infants by preventing membrane phospholipid peroxidation and thereby free radical formation. It also strengthens defence against oxidative aggression in preterm infants [2Hara K, Yamashita S, Fujisawa A, Ishiwa S, Ogawa T, Yamamoto Y. Oxidative stress in newborn infants with and without asphyxia as measured by plasma antioxidants and free fatty acids. Biochem Biophys Res Commun 1999; 257(1): 244-8. [https://www.ncbi. nlm.nih.gov/pmc/articles/PMC6160725]. [http://dx.doi.org/10.1006/bbrc.1999.0436] [PMID: 10092541] ]. Oxidative stress plays a critical role in retinal injury and the prognosis of ROP, diabetic retinopathy and ischaemic oxidative retinopathies, such as age-related macular degeneration (AMD); therefore, CoQ10 has an important role in all of these oxidative retinopathies [3Rivera JC, Dabouz R, Noueihed B, Omri S, Tahiri H, Chemtob S. Ischemic retinopathies: Oxidative stress and inflammation. Oxid Med Cell Longev 2017; 2017: 3940241. [http://dx.doi.org/10.1155/2017/3940241] [PMID: 29410732] ]. In their recently published study, Beharry et al. demonstrated that CoQ10 and n-3 PUFA supplementation in IH elicited protective effects against ROP [11Beharry KD, Cai CL, Henry MM, Chowdhury S, Valencia GB, Aranda JV. Co-Enzyme Q10 and n-3 polyunsaturated fatty acid supplementation reverse intermittent hypoxi-induced growth restriction and improved antioxidant profiles in neonatal rats. Antioxidants 2017; 6(4): 103. [http://dx.doi.org/10.3390/antiox6040103] [PMID: 29258174] ]. CoQ10 reduced VEGF expression, maintained astrocytic integrity, reduced neovascularisation and normalised retinal layers. In addition, n-3 PUFAs reduced VEGF expression, promoted IGF-I secretion, reduced neovascularisation and normalised retinal layers [11Beharry KD, Cai CL, Henry MM, Chowdhury S, Valencia GB, Aranda JV. Co-Enzyme Q10 and n-3 polyunsaturated fatty acid supplementation reverse intermittent hypoxi-induced growth restriction and improved antioxidant profiles in neonatal rats. Antioxidants 2017; 6(4): 103. [http://dx.doi.org/10.3390/antiox6040103] [PMID: 29258174] ]. Inhibition of ROS production by intravitreal luteolin injection, another potential antioxidant, has reduced VEGF gene transcription [26Park SW, Cho CS, Jun HO, et al. Anti-angiogenic effect of luteolin on retinal neovascularization via blockade of reactive oxygen species production. Invest Ophthalmol Vis Sci 2012; 53(12): 7718-26. [http://dx.doi.org/10.1167/iovs.11-8790] [PMID: 23099493] ]. Increasing antioxidant gene expression regulated by Nrf2 via intraperitoneal ebselen (a mimic of glutathione peroxidase) injection protected retinal Müller cells and vessels from oxidative stress-induced injury, and led to reduced retinal VEGF expression due to oxidative stress [27Tan SM, Deliyanti D, Figgett WA, Talia DM, de Haan JB, Wilkinson-Berka JL. Ebselen by modulating oxidative stress improves hypoxia-induced macroglial Müller cell and vascular injury in the retina. Exp Eye Res 2015; 136: 1-8. [http://dx.doi.org/10.1016/j.exer.2015.04.015] [PMID: 25912997] ]. ROP is an ischaemic retinopathy. Combining CoQ10 and opoloxyethanyl-alpha-tocopheryl sebacate α- water-soluble α-tocopherol (vitamin E) α- with a non-covalent bond at a ratio of 2:1 produces a strong hydrophilic substance. Clinical and laboratory studies have proven that it passes through the corneal epithelium into the eye [16Fato R, Bergamini C, Leoni S, et al. Coenzyme Q10 vitreous levels after administration of coenzyme Q10 eyedrops in patients undergoing vitrectomy. Acta Ophthalmol 2010; 88(4): e150-1. [http://dx.doi.org/10.1111/j.1755-3768.2009.01632.x] [PMID: 197995 94] ]. In premature infants, IH can result in the disruption of the antioxidant system, leading to disruption of dopamine secretion and thereby neurological damages and increased retinal neovascularisation. The antioxidant effect caused by CoQ10 treatment prevents this neurological damage, protects both inner retina and visual cortex and reduces neurodegenerative damage [11Beharry KD, Cai CL, Henry MM, Chowdhury S, Valencia GB, Aranda JV. Co-Enzyme Q10 and n-3 polyunsaturated fatty acid supplementation reverse intermittent hypoxi-induced growth restriction and improved antioxidant profiles in neonatal rats. Antioxidants 2017; 6(4): 103. [http://dx.doi.org/10.3390/antiox6040103] [PMID: 29258174] ]. Serum antioxidant levels in infants before and 2 weeks after the initiation of Coqun® treatment. Sato et al. showed that CoQ10 levels were low at birth, and that CoQ10 plasma levels rapidly increased in the neonatal period when administered in combination with another strong antioxidant, such as vitamin E. This increase was slower in preterm infants with much lower birth weight and gestational age, which was attributed to the late onset of enteric feeding [6Sato S, Tsukahara H, Ohshima Y, et al. Changes of plasma coenzyme Q10 levels in early infancy. Redox Rep 2004; 9(5): 289-90. [http://dx.doi.org/10.1179/135100004225006768] [PMID: 15606982] ]. No significant difference was found between the pre-Coqun and post-Coqun groups in terms of total thiol, native thiol, disulphide, native/total thiol ratio and disulphide/total thiol levels. Based on these results, Coqun® treatment (one drop twice a day) did not alter the systemic serum thiol-disulphide homeostasis. The concentration of thiol-based antioxidants in plasma is lower than in cells: they are formed by serum albumin-SH (~80%) and low molecular weight thiols (i.e., cysteine, cysteinylglycine, gamma glutamylcysteine, glutathione and homocysteine). In addition to oxidative stress, many factors affect the plasma thiol/disulphide homeostasis, which may have affected the outcomes of ROP patients [28Turell L, Radi R, Alvarez B. The thiol pool in human plasma: The central contribution of albumin to redox processes. Free Radic Biol Med 2013; 65: 244-53. [http://dx.doi.org/10.1016/j.freeradbiomed.2013.05.050] [PMID: 2374 7983] ]. Most recent animal studies have shown that growth is significantly impaired in cases where IH is induced, whereas oral CoQ10 treatment can decrease ROS accumulation by stimulating antioxidant activity and n-3 PUFA treatment can decrease VEGF induced by IH, and therefore, may have beneficial effects on growth and growth-supporting factors [6Sato S, Tsukahara H, Ohshima Y, et al. Changes of plasma coenzyme Q10 levels in early infancy. Redox Rep 2004; 9(5): 289-90. [http://dx.doi.org/10.1179/135100004225006768] [PMID: 15606982] ]. ROP is ischaemic retinopathy. Studies show that CoQ10 can achieve T-fam protein expression in ischaemic retina to provide neuroprotection against mitochondrial changes mediated by oxidative stress in ischaemic retinal damage [14Erel O. A novel automated direct measurement method for total antioxidant capacity using a new generation, more stable ABTS radical cation. Clin Biochem 2004; 37(4): 277-85. [http://dx.doi.org/10.1016/j.clinbiochem.2003.11.015] [PMID: 150037 29] ]. Increased reactive oxygen species can activate the inflammatory response by triggering cytokines (inflammatory cytokines, such as IL-1β, TNF-α and IL-6), resulting in oedema development in endothelial cells, decreased blood flow and increased ischaemia, thereby accelerating neovascularisation [25Sikorska M, Borowy-Borowski H, Zurakowski B, Walker PR. Derivatised α-tocopherol as a CoQ10 carrier in a novel water-soluble formulation. Biofactors 2003; 18(1-4): 173-83. [http://dx.doi.org/10.1002/biof.5520180220] [PMID: 14695933] ]. Conflicting reports have been published regarding vitamin E supplementation and its use in ROP treatment or prevention. Two meta-analyses have reported beneficial effects, while another study has reported no effect [29Raju TN, Langenberg P, Bhutani V, Quinn GE. Vitamin E prophylaxis to reduce retinopathy of prematurity: A reappraisal of published trials. J Pediatr 1997; 131(6): 844-50. [http://dx.doi.org/10.1016/S0022-3476(97)70031-3] [PMID: 9427888] -31Law MR, Wijewardene K, Wald NJ. Is routine vitamin E administration justified in very low-birthweight infants? Dev Med Child Neurol 1990; 32(5): 442-50. [http://dx.doi.org/10.1111/j.1469-8749.1990.tb16963.x] [PMID: 21918 90] ].